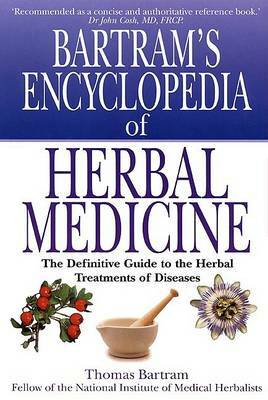 Buy Bartram's Encyclopedia of Herbal Medicine by Thomas Bartram from Australia's Online Independent Bookstore, Boomerang Books. Thomas Bartram, fellow of the National Institute of Medical Herbalists, Royal Society of Health and Health Food Institute, has practised medical herbalism for over 40 years. He founded Gerard House, international innovators of herbal medicine, in 1958, and his magazine, Grace, enjoys worldwide circulation.